Dortmund’s Red Bull days continue. On Saturday they faced RB Leipzig for the Bundesliga Topspiel, and they now play host to RB Leipzig’s sister club Red Bull Salzburg – known as FC Salzburg in the Europa League for sponsoring reasons – in the round of 16 of the Europa League. Playing perhaps their best game under head coach Peter Stöger Dortmund were held to a 1-1 draw on the weekend against an RB Leipzig side that also played a fantastic game. Perhaps Dortmund’s biggest weakness was falling into Leipzig’s offside trap as the Yellow and Blacks were whistled back on three occasions, indicating that the timing was just a bit off that evening. Overall, the match on Saturday night should have provided Dortmund with a good practice session for what is to come on Thursday night. Although officially disassociated there is no doubt that the different Red Bull teams at least follow a particular philosophy when it comes to playing football. Like Leipzig Salzburg’s German head coach Marco Rose likes to play aggressive pressing football and although the formations are slightly different – Leipzig play in a 4-2-2-2 formation, Salzburg use a 4-3-1-2 – the style of football is similar. 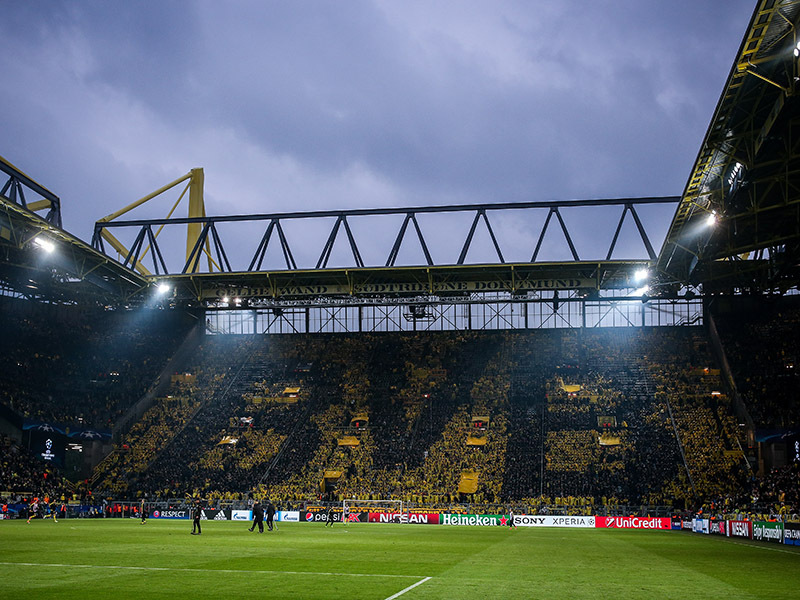 As a result, Dortmund should have room to develop their own attacking brand of football, which could favour the Yellow and Blacks on Thursday. Salzburg should, however, not be underestimated. The club dominates the Austrian Bundesliga and plays good football. Furthermore, there will be plenty of Salzburg fans at the stadium with 2,000 fans making the trip from Austria to Dortmund, which is a new away record for the Austrian side. 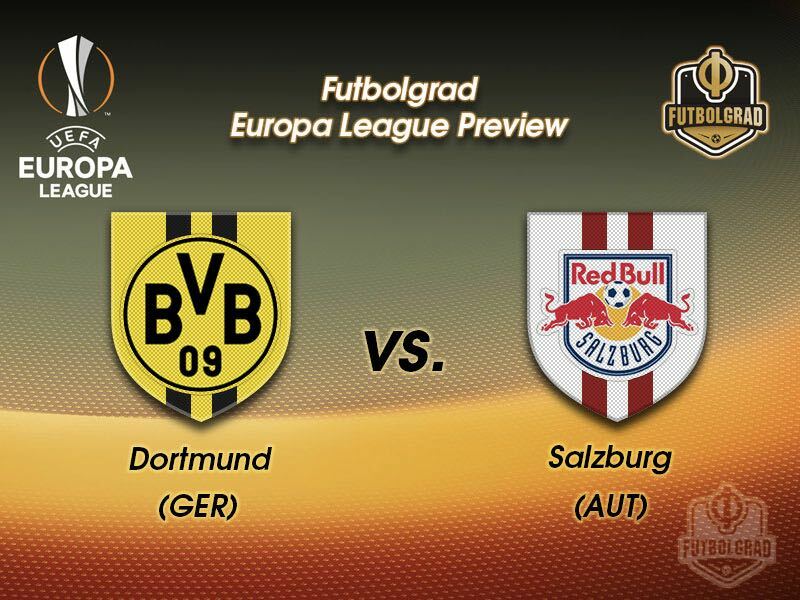 But even with the extra support, Dortmund’s quality will likely be too much for Salzburg, and the Yellow and Blacks might wrap this up in the first leg. 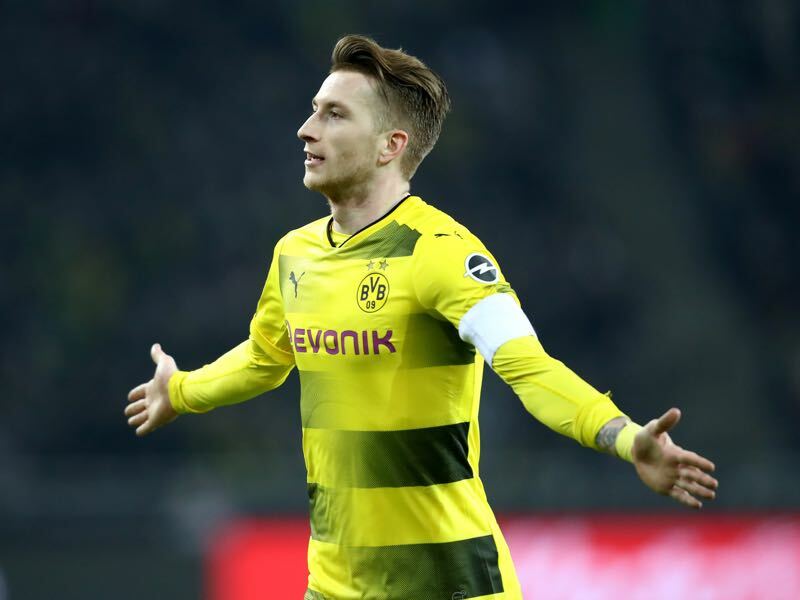 Once again Dortmund will look at Marco Reus when it comes to making a difference in the round of 16 of the Europa League. Since returning from his lengthy ACL injury, which was sustained during the cup final last May, Reus has scored three goals in four games. The German national team player has also scored in the previous three matches in a row. Left of the scoresheet in Europe this far Reus will now look to improve his European numbers when Salzburg come to town on Thursday. 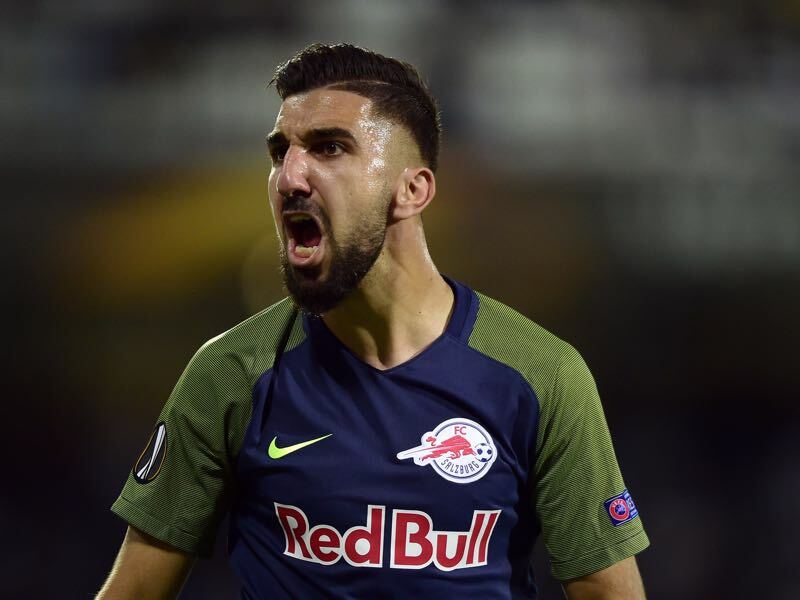 The 25-year-old Israeli striker Munas Dabbur has been impressive for Red Bull Salzburg this season scoring 16 goals and three assists in the Austrian Bundesliga, as well as four goals and one assist in eight Europa League matches. Signed from Grasshoppers in the summer of 2016 for €6 million Dabbur struggled at first at Salzburg and was sent back on loan to Switzerland last February. He returned last summer and has been a completely different player for Salzburg ever since. The two clubs have never met in European competition. Dortmund have a flawless record against Austrian clubs in UEFA matches, winning four out of four. Salzburg have lost half of their eight matches against German clubs, winning two. Salzburg have yet to claim a victory on German soil but did claim back-to-back second-leg successes away to Eintracht Frankfurt and Karlsruhe en route to the 1993/94 UEFA Cup final, winning a penalty shoot-out in the quarter-final against the former after a 1-0 defeat and eliminating the latter on away goals after a 1-1 draw. Salzburg crossed the border last season to play Dortmund’s local rivals Schalke in the group stage of the UEFA Europa League and were beaten 3-1 – a result that contributed to their autumn exit. They did, however, win the return fixture 2-0.